End of the line where it joined the Ely to March line at March South Junction. 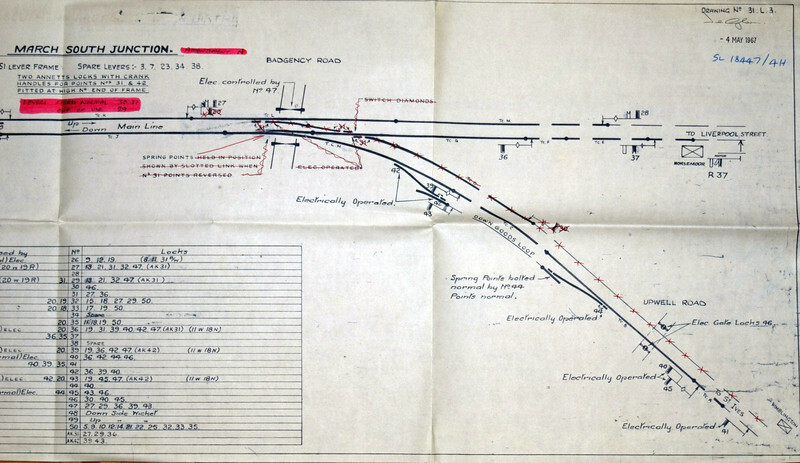 Track plan of the signal box in 1967. Plan thanks to Richard Pike.